A Victory for Wolves and the Endangered Species Act! 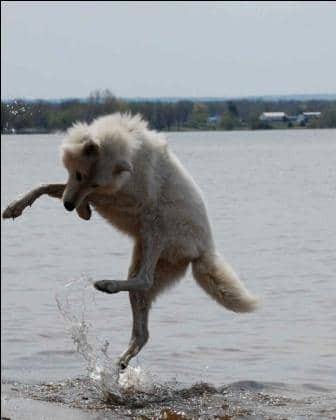 Atka celebrates with a victory dance! VICTORY! Less than an hour ago the U.S. Senate shut down HR 1! This budget bill, a Continuing Resolution, had numerous riders attached to it, including Section 1713 which would have removed wolves from the protections of the Endangered Species Act (ESA) and would have also banned the issue from any future judicial review.